Climate change due to anthropogenic forcing through escalating greenhouse gas emissions and destruction of carbon sinks by deforestation is leading to floods and droughts affecting agriculture production. Global warming induces steric as well as eustatic rise in sea-level, by thermal expansion and addition of ice-melt water, respectively. Although the IPCC (2007) estimated a maximum possible sea-level rise of about 59 cm, more recent estimates show a global average rise of ≥1 m by the 2100 AD. The low-lying coastal zones are more vulnerable to rising sea levels as they face submergence or saltwater intrusion which affects the agriculture activities. Geomatics-based models on the possible impact of the predicted sea-level rise on coastal agriculture are necessary to initiate appropriate mitigation plans. The present study is an attempt in this direction taking the Andhra Pradesh (AP) coast as an example. The land use / land cover of the AP coast was mapped through the interpretation of IRS-P6 LISS III imagery from 2008. SRTM digital elevation models coupled with landform evidences have been used to interpolate contours at 0.5 m interval, although highly approximate, for the entire coastal region. If the sea level rises by 1.0 m, about 4040 km2 area including the present intertidal wetlands as well as the land between the present and future high tide lines would be affected along the entire 1030-km-long AP coast displacing about 1.67 million inhabitants and their economic activities, in about 351 revenue villages. The low-lying Krishna-Godavari delta region in the central part of the AP coast would be the worst affected zone as 2205 km2 of its area including about 1593 km2 under various types of agricultural activities is lying within the future high tide limit of 2.5 m elevation. We are grateful to the two anonymous reviewers for their valuable comments and suggestions which helped to improve the manuscript. 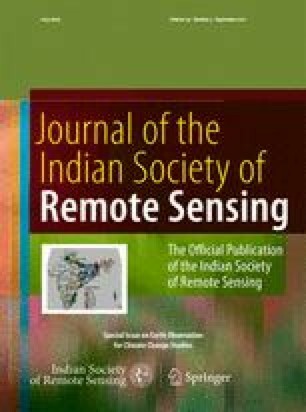 We express our gratitude to Dr Sushma Panigrahy, Editor of this special volume for encouragement and support in preparing this paper. Our thanks are due to Dr R.R. Navalgund, Director and Dr J.S. Parihar, Deputy Director, Space Applications Centre, Ahmedabad for encouragement and advice. This work is a part of the sub-project on the impact of predicted sea-level rise along AP coast, funded by the Space Applications Centre, ISRO, Ahmedabad under the Ministry of Environment & Forests sponsored scheme on coastal zone studies. Alexander, D., & Nasheed, M. (2009). Climate: rich and poor must work together, http://www.thehindu.com/2009/11/11/stories/2009111155650900.htm. Accessed 08 April 2008. Pendleton, E. A., Thieler, E. R., & Williams, S. J. (2004). Coastal vulnerability assessment of Cape Hettaras National Seashore (CAHA) to sea level rise. USGS Open File Report 2004–1064, http://pubs.usgs.gov/of/2004/1064/images/pdf/caha.pdf. Accessed 08 April 2011. Strohecker, K. (2008). World sea levels to rise 1.5 m by 2100: scientists, a Newscientist news service and Reuters publication. http://www.enn.com/wildlife/article/34702. Accessed 08 April 2011.